Thank you for visiting Mid-Atlantic Window Tinting. Your search for New Jersey commercial window tinting ends here. We provide a full range of window tinting services for your business needs. Mid-Atlantic Window Tinting has been serving businesses and residents in South Jersey for over 20 years, and we have built a list of thousands of satisfied clients. We use window films from the best providers and can offer a range of tints from clear to blacked out and anything in between to meet your tinting needs. We are fully insured and certified for all commercial and government work. Reduced heat – Our tinting service reduces the heat entering the building and keeps the temperature balanced throughout your space. 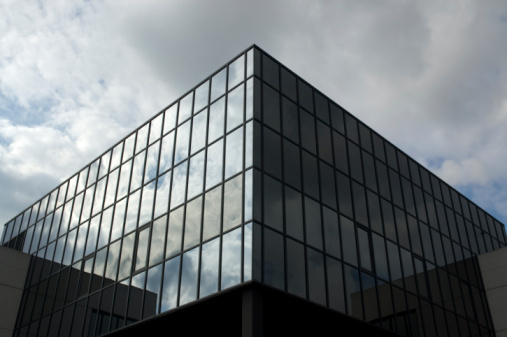 Often our window films can bring down energy costs caused by additional heat by as much as 40%. Reduced glare – Tinting can bring about a much more relaxed work environment by minimizing the distracting sun glare. Improved aesthetics – Tinting can help the outside windows of an office maintain a consistent look, avoiding the some-blinds-open-some-closed appearance. We can also put a custom business logo into the film for a professional outside presence. Safety and security – Mid-Atlantic offers a wide range of films to prevent graffiti and vandalism, protect from smash and grab burglars, or even blasts and airborne missiles. Weather protection – A thick film can protect glass from wind and hurricane damage and bring windows and glass up to safety codes. In addition to all of the services we offer in New Jersey commercial window tinting, our work includes a lifetime warranty against peeling, bubbling or adhesion failure. You’ll never have to worry about your film quality with us. We look forward to being your choice for New Jersey commercial window tinting. Call or e-mail us and let us meet your business’s individual tinting needs today!